Most entertainers put out a show, an illusion, a façade. If you’re lucky, some are okay with opening up to their fans in the most emotional way. Yet it’s still safe to say that the way someone may act on stage may not be how they always are in private. Sonja realized this the wretched way, as she allowed Michael’s trembling body to cling to her for dear life. His tears hot and sticking to her skin, curls splayed, and clothes wrinkled. This was a side so unlike anything else, a pallid vulnerability that he allowed only her to see. A girl can dream, that’s the one thing this broken, soul-grabbing, city couldn’t take from you. Though, Sonja Carter’s dreams never involved meeting Michael Jackson, especially hiding the poor guy in her small apartment from rampant fangirls. They just consisted of parties littered with drinks and drugs, some good ol’ carnal nights, and a plethora of good-looking things. It was an odd encounter so one could say fate had intertwined the two. Possibly for love or possibly for heartbreak and horrid knowings. And since the world was filled with more sin than hell itself, you could heavily argue the latter. Summary: Hey guys this is my second Michael story, Joseph is taken in to hospital but passes away, how will Michael cope, will he be able to let people help him or will he push everyone away. Michael Jackson, a local vampire who believes that he can take down any slayers without any hesitation. But when he meets Alexis, he decides that he wants her all to herself. Will Alexis fall for him or will she abide by her father's rules and slay him? Michelle runs away from the house she considers hell and her life takes a turn for the better when a stranger helps her in the stormy night. 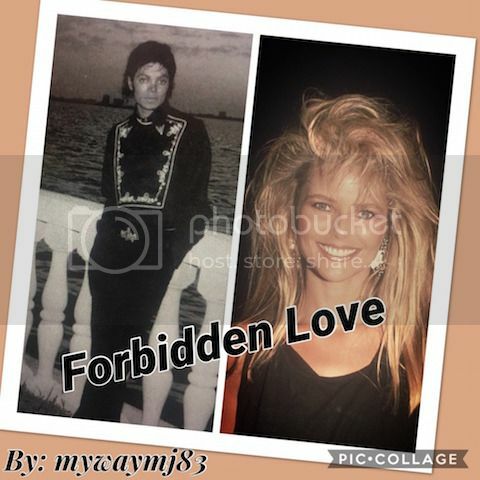 What happens however when the man who helped her turns out to be Michael Jackson but she has no clue whatsoever of who he is and she wants to leave ignoring the fact he had begun to develop feelings for her? Is Michael going to be able to stop her in time? Will Michelle be able to ever forget the nightmare her life was before meeting Michael and will she finally believe in love? Read to find out. Jervaise and Jamie was the perfect high school couple. Later on they got married and it lasted for 12yrs. They love and adore each other, very few fights but they worked them out. They ended up getting pregnant with twins. Jervaise soon realized that Jamie has been acting different towards her and changed. Andy is lost in his life until Michael reminds him of who he is, and what he feels, just in time for Christmas. "W-where am I?" I ask, shaking from fear. I was just with my mom two minutes ago and now she's gone, and I'm somewhere very unfamiliar. The little man laughed, as if he's heard this question one too many times. "My dear girl, you are in heaven. You passed away." Not long after the death of mega superstar Michael Jackson, Chantè Mann was living a quiet, peaceful life, until one fateful day sent her to 'Life Again'- or Heaven, as we call it. Unable to accept her death she is paired with an advisor, who just so happens to be Michael Jackson. Watch what happens when Michael shows Chantè the way of her new life in : For All Time.